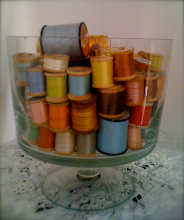 Perhaps this is an obsession...I just can't seem to get jars off my mind these days! 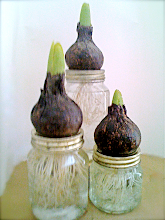 Here are some great uses for those jars we can't seem to give up. 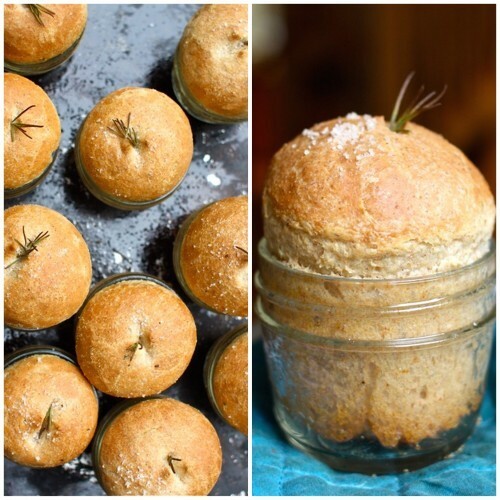 What are some of the ways use use your recycled and/or thrifted jars? Sending love and good thoughts to all. Fun ideas, Tracey. That rose petal and sea salt bath scrub looks so pretty. 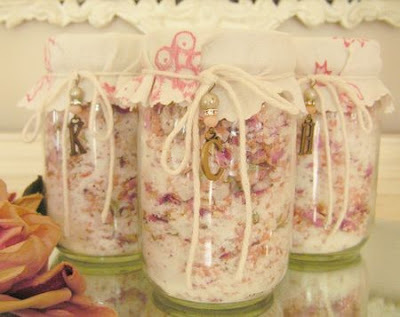 I love using jars for storage for just about everything - from food to ribbons to seashells and rocks. I agree Lorrie...I love the simple idea of mixing sea salt and dried rose petals from the garden! 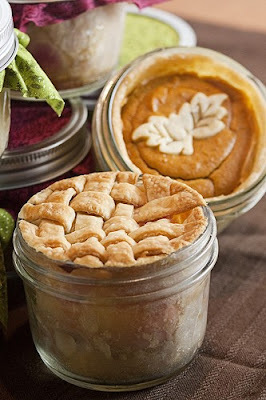 I'm also lovin' the concept of using jars for baking token food gifts...like the tiny little pies and the Rosemary bread! Thank you so much Monique! Ohh wonderful list, I love using canning jars. Hey make sure you come by tomarrow and see my post. 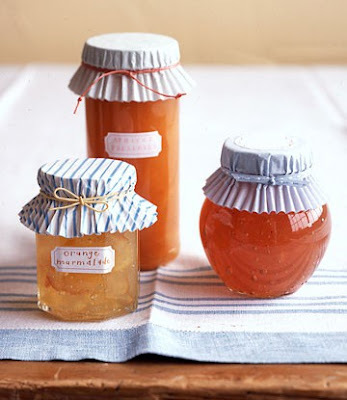 I made the most amazing thing with canning jars. Think chocolate and raspberries !!! 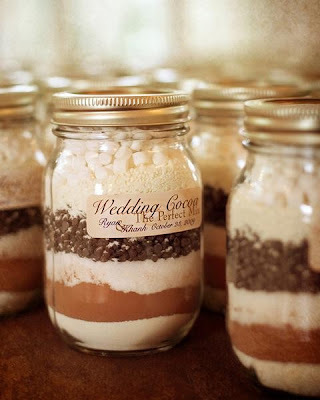 I think everything looks cuter in a jar LOL! Just like everthing looks cuter with pom pom fringe. 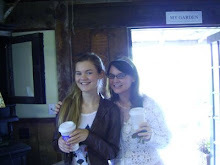 Thanks for stopping by my new blog the other day. It was so nice to see a comment from you. Hope you're doing well. 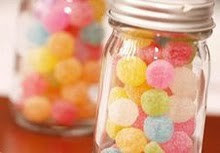 wonderful ideas - I'm especially drawn to the sugared gumdrops - they look so pretty, just like little jewels. Hi Diane! Yes...I too am a lover of that simple gift of pretty candies in clear glass jars!!! Such a simple way to give a token gift. P.S. I LOVE your framed mosaic project...absolutely gorgeous...looks wonderful in your hall...paper is magical! I just wanted to say that I don't blog, but I do follow some blogs, I just found yours through Manuela. I have followed her lovely blog for a while now. 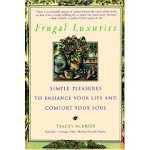 I ordered your book Frugal Luxuries, and wasn't sure about it, (since it had no pictures), but gave it a try anyway. I am amazed, so much useful information. I'm 3/4 through it now, and it's a GREAT book. I love your outlook on life, and I love the tips you give for creating a wonderful and warm home for your family. I can't wait to get home tonight and read more! 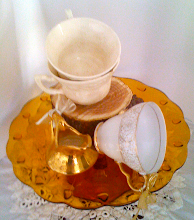 IHG...thank you so very much for your generous words regarding my work. You don't know how much it means to me to know that it's being enjoyed by others. What a HUGE compliment. Thank you again! I love the pie in the jar. Its just the right amount of sumthin'-sumthin' that takes care of the sweet tooth. I also like the cupcake liners to top the jars with. Am still looking thru your blog, it is amazing! Have both of your books and have gotten sooo much enjoyment from them. Keep up the good work. Awww...Nana...you are so kind!!! I hope you're having as much fun exploring the blog as I did finding and trying all the fun ideas! I was eyeballing all those jars in my garage to get rid of...then I saw this post. Can you REALLY bake in them? P.S. I loved your post on your daughter learning to sew a dolly wardrobe! 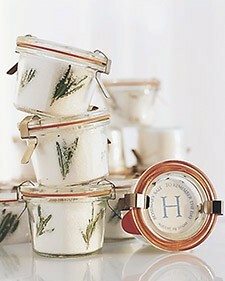 However, I wanted to tell you I'm going to make vanilla sugar for gifts (I have a gazillion cute jelly jars saved). I found I can order vanilla beans through Amazon that are better than those in grocery stores and so much cheaper. 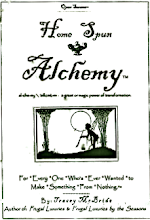 Hope to make vanilla extract for Holiday gifts. Oh Brenda...what an ordeal/adventure you have been going through! Sooo happy it wasn't worse than it was...and you all are in our prayers for a seamless recovery back to normal. First time visitor and just loving everything. Beauty has nothing to do with pocketbook size; your blog is proof. I'm just going all around your blog and "oohing and aahing". Have a lovely day, as lovely as you are. I try to buy 2 or 3 of the same mason or storage jars at GW. For party favors, gifts to teachers, etc., I put bird seed or mix, one of each kind per jar, and attach pretty label and ribbon. Everyone likes to feed birds. 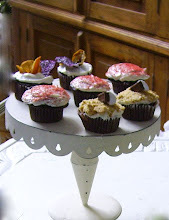 Such good ideas...you've reminded me that I need to start drying rose petals as well! 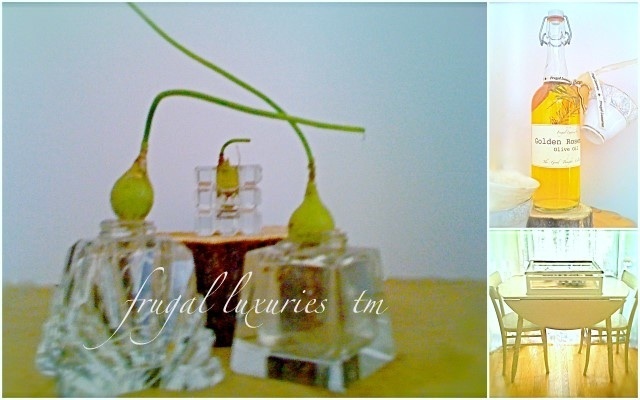 I plan to make the rose petal sea salt scrub as part of Frugal Luxuries Spa Baskets this year! Thanks so much for the nice note and nudge.